One of the memorable scenes in the quirky 2003 British romantic comedy Love Actually is a dialogue about a school Christmas play. 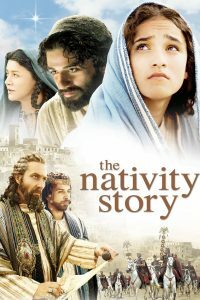 Actress Emma Thompson plays Karen and her daughter Daisy (played by Lulu Popplewell) proudly announces her upcoming role in the nativity story. Karen: In the nativity play? Karen: There was more than one lobster present at the birth of Jesus? The nativity play ends up being the climactic conclusion to the film. Not only is the lobster on stage, but she is joined by an octopus, a few penguins, Spiderman, and an assortment of other peculiar creatures. That surreal scene came to mind a few years later while I was visiting the set of The Nativity Story, a charming film about the birth of Christ filmed in Matera, Italy ­– 120 miles east of Naples. As we were checking out the cave-like location for the manger scene, a five-foot black snake slithered through as though he owned the place. As alarming as it seemed, it should not have been terribly shocking. Matera is an ancient city known for its neighborhoods that are literally carved out of rock. It is an ideal home for slinky, slithering, and creepy animals of all varieties — perhaps a little like Bethlehem. Along with a lobster and Spiderman, a snake is an unlikely character for a nativity scene. We are far more comfortable with cattle lowing and sheep curling up and hens laying eggs in the manger. Nevertheless, the serpent’s appearance seemed strangely fitting to the incarnational reality of Christmas. After all, at the precipice of hope and redemption, evil lingers and looks for a way to corrupt. Sometimes we lose sight of that reality when we watch our cute Christmas pageants with shepherds wearing bathrobes, the Three Wisemen draped in silk kimonos, and the Virgin Mary lugging around a retro Cabbage Patch doll. In reality, it is difficult to downplay the seemingly raw scandal involved with the birth of Christ; but somehow we have managed. Perhaps we have anesthetized the story’s sting, since it took place long ago and far away. At Christmas, we properly celebrate the birth of Jesus – the incarnation of God coming as a vulnerable infant. What we don’t dwell on is the horror that surrounds it. No matter how elaborate our nativity scenes may be, they seem to have the antiseptic cleanliness of the crosses that we wear as necklaces. Just like you don’t see blood stains on sterling silver jewelry, you don’t really get a sense of how Christmas may have been anxiety-ridden, unsanitized, and vile — a little like real life. We don’t think about Herod ordering the infanticide of all little boys 2 years old and under after the Magi asked him about Jesus. With the slaughter of the innocents, Christmas ends up as gruesome as Good Friday. We don’t think about Joseph’s dilemma in discovering that his fiancée was pregnant. Would she be stoned, as was the common practice? Would he divorce her? According to the law of that day, he would have been within his rights. We don’t think about a frightened, unmarried teenage girl who has been told she will carry the son of God in her belly. How could she explain that to her family and friends — let alone to the man to whom she pledged her faithfulness? We don’t think about an elderly religious man telling the teenage Mary, “This child is destined to cause the falling and rising of many in Israel, and to be a sign that will be spoken against, so that the thoughts of many hearts will be revealed. And a sword will pierce your own soul, too” (Luke 2:34-35). That’s a pretty heavy gothic trip for a young girl. Regrettably, each Christmas seems to carry with it a dark shadow of devastating events, losses, or deaths that occur in the midst of the holiday season. Words fail even the most eloquent when, for example, a friend is diagnosed with cancer or loses a job during Advent. Those who embrace faith are not without hope. Christianity does not promise the believer that the storms of life will be avoided. Instead, it affirms that God is ever present with those going through the storm. While that provides a measure of consolation, there is still devastation for those who lose loved ones during the “most wonderful time of the year.” In emotional solidarity, holding someone who weeps is perhaps the quintessential means of grace – God’s literal embrace for the brokenhearted. Jesus said, “I am the resurrection and the life,” as well as, “Let the little children come to me, and do not hinder them, for the kingdom of heaven belongs to such as these.” It is at this time of year when little kids will be performing Christmas musicals to reenact the coming of the Messiah. I always end up thinking about the lobster and octopus and penguins and Spiderman from Love Actually. Eventually my thoughts turn back upon the manger scene on the movie set in Italy. Even though a snake may slither through the manger, the incarnation at Christmas remains the only light sparked in a cave that can illuminate the human soul and bring peace in the midst of chaos. Steve Beard is the creator of Thunderstruck Media.